We are a family-oriented, morally-based business that specializes in the art of Rehabilitation Therapy. 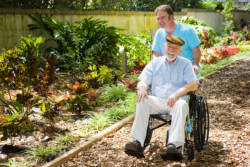 We provide home care therapy services in the states of Texas and New Mexico. Healing Touch Rehab Consultants was established with the mission to provide professional rehabilitative services to patients in the comfort of their homes, to aid them towards achieving their maximum rehabilitative potential and functional independence. We have that special touch. loyalty and compassion towards our patients.